India is the seventh largest producer of commercial vehicles in the world. The commercial vehicle industry has grown significantly since the turn of the new millennium, which is evident from the fact that the industry could increase its sales by more than four-folds to 685,704 units in fiscal year 2015–2016 compared to 150,452 units in 2000–2001. In this study we analyze the innovation and business profile of Indian commercial vehicle industry. 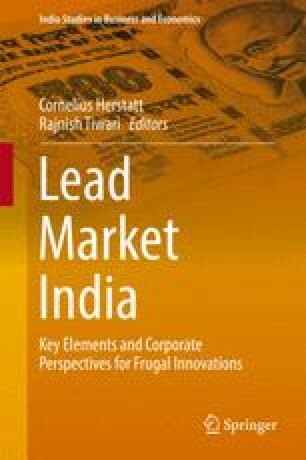 The study is based on indicators such as sales and revenues, R&D expenditure, types of innovations and their impact, open innovation activities, product portfolio and product selling points. These data were collected from annual reports, press releases and other publically available sources. This study revealed that companies have relied mainly on product innovations compared to other types of innovations for growth. Most of these product innovations resulted in the incremental improvements of the products. These incremental innovation activities resulted in different products and variants which met growing needs of customers. In addition, various open innovation moves were made by companies which helped them to acquire new markets and increase their revenue. These innovations have arguably given a new direction to Commercial Vehicle industry in India.